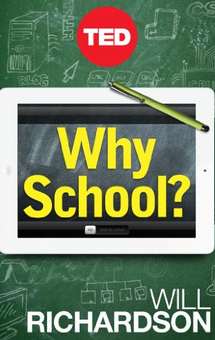 It’s been almost six years since I wrote Why School? which happily ended up being a best-selling TED Book but, unhappily, didn’t allow me to retire to my island paradise due to the $2.99 Kindle-only cover price. I’m still humbled when I look at the Amazon reviews that people have left over the years; for many, the case for doing a serious refresh of this thing we call “school” resonated deeply. People have told me as well that the essay (it’s still hard for me to call it a book) kicked off a lot of serious conversations about how our work in schools needs to be seen through a different lens given the profound changes of the last couple of decades. I’m grateful for that. As I reread it this morning, I was struck by how much of it still applies today. Abundance continues to explode. Literacy continues to become more complicated. Learner agency is expanding at an even faster rate as new information, new tools, and new people enter our learning lives. I’m still making much of the “Why School?” argument in my travels, and my sense is, at least, that it’s still at once resonant and deeply challenging to many in education. As much as more people seem to agree with the premise, however, change at the fundamental level I was trying to articulate six years ago and am still advocating for today isn’t happening at scale. The changes I see are mostly tweaks. Aside from a few pockets of true reimagination, the systems and structures at their core remain basically the same. The same power dynamics between administrators and teachers and parents and kids sustain. Cultures are still focused on teaching, not learning. We aspire to outcomes that are inherently easy to measure and to turn into data. In general, the traditional narrative of schooling is unbroken. But there is a hole in the foundation of that narrative, one that we are loathe to acknowledge. One that I wish I had focused on more in that essay. One that is the most compelling, and perhaps the scariest argument of all for real change in school: When it’s all said and done, our kids aren’t learning much of what we’re trying to teach them. We dance around this fact, and I do consider it fact, by the way. It’s borne out by stories like the one about Lawrenceville Prep, whose Ivy League college-bound kids dropped 30 points when they retook a final exam cold just three months later. It’s borne out when I ask kids what they remember from the chemistry or history or French class they took the year before. Or by my own recollection of what stuck from my high school experience. Or from talking to my own kids. Don’t get me wrong; they learned a lot in school. It’s just that very little of it had anything to do with what they were being graded on. We spend thousands of hours covering curriculum that most kids find little relevance or interest in but for which they develop the skills to “succeed” at giving back to us through tests and homework and the occasional project, only to forget almost all of it as soon as the course ends. And if you don’t believe me, pull a random group of 20 high school kids together and ask them what they’ve learned that stuck with them. Ask them to take almost any of their final exams three months later and see how they do. Ask them what things they want to learn more about. See if you’re surprised by anything they say. Think about the time spent to “stuff really learned” ratio. I’m not saying kids don’t learning ANYTHING about the subjects we teach in school. In aggregate, most kids do learn how to read and write and compute at a functional level. And depending on the child and their interests, most kids do learn at some depth about some particular subject that stimulates them. But that ends up being a small slice of what we require them to “learn” even if we know they’re not learning much of it. This whole conversation about what learning is and how little understanding or coherence most school communities have about it is one I came to after I wrote that essay. It started when Gary Stager introduced me to Seymour Sarason and Seymour Papert and Deborah Meier and Loris Malaguzzi and Frank Smith and others who had been saying for decades that kids weren’t really learning much in schools. And, as anyone who has visited this space previously knows, it was Sarason’s challenge to all of us in education to define learning that really resonated for me. If “productive” learning in schools really does happen only when kids walk away from an experience “wanting to learn more,” it’s hard not to question our approach. For me today, more than anything else I wrote in Why School?, that’s the answer to the “why change school?” question. Because today, amazing opportunities for “wanting to learn more” abound for classrooms and schools that are willing to break the narrative regardless of the pushback, the discomfort, and the challenges. Because if we don’t find ways to do that, we’re not serving our kids in the way they need and deserve. When Bruce and Missy and I started Change School last year, I don’t think any of us were sure what the result would be. I know I didn’t think at the time that 16 months later I would be referring to it as the work I’m most proud of in my professional career. And I’ve been lucky enough to have had some pretty great moments in my 30+ years doing work that I think had an impact. But not to the depth of this past year. Those who know me know that I hate selling. It makes me uncomfortable for whatever reason. Regardless, now that our next Cohort is ramping up, I want to make a quick pitch for “Why Change School?,” as in the experience. First this: “change” is not the product that we’re selling. Many, in fact, don’t even see change in schools as a benefit, and that’s ok. What we are selling is an opportunity to become fully immersed in the questions that surround schools right now, the ones that deal with all of the things I wrote about in Why School? and more, and through the experience, develop a more coherent, relevant lens through which you can make the absolute best decisions possible of the children and teachers in your care. 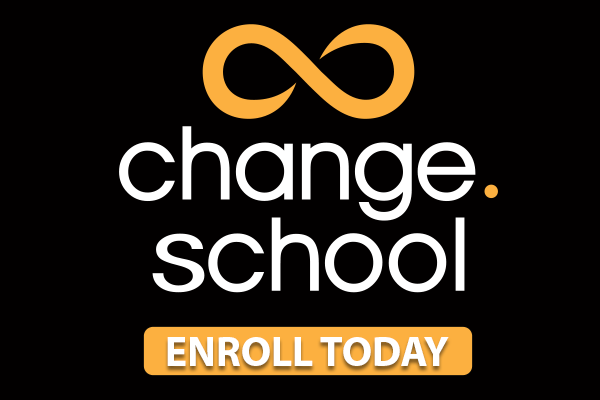 To do that, we’ve made Change School an almost totally inquiry-driven exploration of this moment as supported by a thoughtful community of now over 250 leaders from around the world and a team of coaches that will gently yet consistently push you out of your current school narrative and deeply explore what’s possible now in schools. In that sense, it really is full-on “professional development,” as in helping you develop your full capacity to lead given the modern contexts, tools, challenges and opportunities that are available today. Even if this wasn’t my work, I know I would still say this: Change School is a powerful learning experience for anyone who cares deeply about doing what’s right and best for children today. 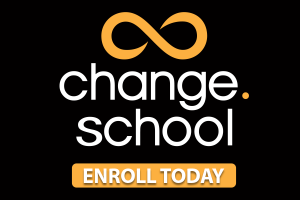 At a moment when the changes in the world are forcing us to consider profound changes in the way we think about education and schooling, it’s a deep and serious examination of all that that entails, and it’s an experience that will change you as much as it will enhance your ability to change your school. Please take a look. If you have questions that aren’t answered on our site or in this 24-page brochure, you can call me directly at 908-824-0050. This is important work for all of us right now. Let’s do it together. A Degree With Zero Debt. Does it Work? – More innovation in higher ed. Rethinking the High School Credential – Some interesting thinking here. The Fortnite Phenomenon (Where Social Gaming and Kid Culture Collide) – In case you were wondering. ← How Do You Discover and Develop Talent in Your School? I always enjoy your modern learning articles and often shard them in a weekly blog I write for teachers interested in creative teaching. I’m not sure what difference it makes but I get enough feedback to continue. I’ve been involved in (some might say obsessed) with encouraging creative teaching since the 60s and have now well past my use by date!! All the writers you mention I have read. I came across Seymour Sarason reading books by Robert Fried. Dewey’s Experience and Education has been important to me. I could go on. I recently read Frank Smith’s The Book of Learning and Forgetting which illustrates the point you were making. As a Newzealander my strongest influence is the writing of my late friend Elwyn Richardson. His book In the Early World was first published in the 60s in NZ (and also in the USA) and was recently republished by the New Zealand Council for Educational Research (NZCER). Are you aware of it? The book itself is a work of art ~hard to say that about most educational books. It is the work of one teacher and his students in an isolated rural community. Elwyn saw his class as a community of scientists and artists exploring issues and their immediate environment. The book is full of student’s writing, art, pottery, carving and science. As for me I’ve done my bit. Last week i returned to the school I was principal of (left in 94) to share the ideas about teaching and learning I had picked up over the decades. It went well but it felt like an epilogue!! NZ has a new progressive government (guess you know this as a visitor) and they have thrown out the regressive National Standards and have returned the focus back on our future orientated New Zealand Curriculum. One phrase in it that I like is for students ‘to be active seekers, users and creators of knowledge ‘. The other day I went fishing with my daughters partner (who is a trout and salmon guide from Alaska) and it was a real learning experience for me. Such a lot of things I wanted to learn more about – boat handling skills, fishing skills and identifying all the sea birds. I was right back to the power of experiential learning of John Dewey.